Adventure therapy is something that I feel quite passionate about. For me, it’s not enough to do it all day at BaMidbar. I’m also going home and writing about it, refining my work, and helping others fine-tune theirs. Adventure therapy is a big part of what I think makes BaMidbar effective. It’s the intentional use of adventure activities and games that help our clinicians and staff access and process our clients’ behaviors, thoughts, emotions, etc. so that they develop a clearer understanding of them in the future. A student who develops awareness of how their frustration interferes with making a primitive fire will have greater awareness of how their frustration impacts their family relationships as well. Another way that I take my enthusiasm for adventure therapy home with me is by being a volunteer leader for the Therapeutic Adventure Professional Group(TAPG) of the Association for Experiential Education (AEE). This has been an amazing group to be part of because not only is TAPG one of a few professional groups working to help the field of adventure therapy grow, but it has also become my professional home, with a lot of dear friends also participating in it. Which brings me to sharing a confession I previously made in a blog on my website. (This blog originally appeared at adventure-therapist.com and has been copied with permission from Nick Magel-Haberek.) When it comes to facilitation and adventure therapy activity selection, I only have about five or six back pocket games. That’s not an exaggeration! That’s not to say that I don’t invent games. That’s actually a huge part of who I am as a facilitator, and hopefully will be the topic of many future posts, but when I’m put on the spot or I haven’t planned well, I’m reaching for one of only a select few. So why do I use only a few games? After a night of fun and shenanigans at an AEE conference several years ago, several of my adventure therapy idols and I concluded that the focus should not be on an ever-expanding bag-of-tricks, but rather on fine tuning the nuances of the same activity. 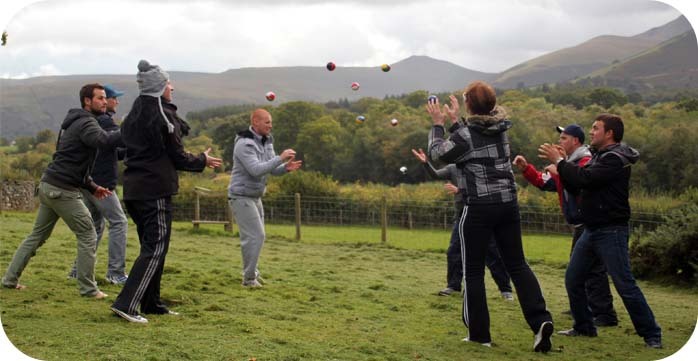 Group Juggle (a very commonly used game) was suggested as an example of this, and the joke became that someone should facilitate a three hour workshop using just that one activity to talk about the nuances of great facilitation. Perhaps, someday that workshop will come to fruition, but for now, I’ve come up with the following list to start the discussion of what good facilitators do to tweak, adjust, modify and beautify the same activity. They know their “why” and they focus on being intentional. – I talk a lot about being intentional. In this case, what I’m focusing on is “what is my reason for using this activity (or any activity at all, for that matter)?” Am I doing this to build communication, to encourage teamwork, building connection? This is a good place to refer to treatment plans or other assessments of where the group is at. This will likely be a common factor as you work through the following steps. They plant seeds. – Language is powerful. We all know that. Planting seeds is called different things by different folks, but I’m talking about using language that supports, leads (or sometimes misleads), reminds, or reframes what will happen or is happening during an activity. “When you complete this task, send a representative from your group up for a final tally,” is not just a direction, it is an assumption that they will be successful as a group. When I facilitate activities with mouse traps, my first statement is usually something like: “Mouse traps can hurt you. Please don’t play around with these until I’ve given you directions about how to use them safely.” This is slightly misleading. I do want to give people more information on how not to accidentally snap their fingers; however mouse traps are not as dangerous as most people assume! If I’m using this activity as a way to access anxiety and work on coping strategies, I don’t necessarily want people to figure out my secret early… Mouse traps don’t hurt that badly! They add richness to the metaphor by building lots of isomorphic connections -OR- they focus on transfer of learning. – Metaphor and isomorphs are amazing for most clients, but in my experience I’ve also seen them fall flat. If I’m working with clients who might be on the autism spectrum, have cognitive delays, or even some folks with histories of neglect/trauma, I’ll go to a more concrete route. Regardless of this, good facilitators are always making connections to home or back to the goal behavior. This may be by asking the question “What does this have to do with home?” Or it may be by encouraging clients to relate to times they experienced similar emotions or bodily experiences. Either way, experiences and adventure are an easy way to access this. They adjust the rules, limitations, action and use of props of an activity. – There are a lot of different ways we can adjust an activity to make it a bit more conducive to the clients’ experience. These are what come to mind for me in my systematic approach to facilitation. There will be a lot more written about this topic, but for now, know that my approach for every activity is to focus on adjusting the rules, limitations, action and use of props as a way to fine tune therapeutic connections for each client. 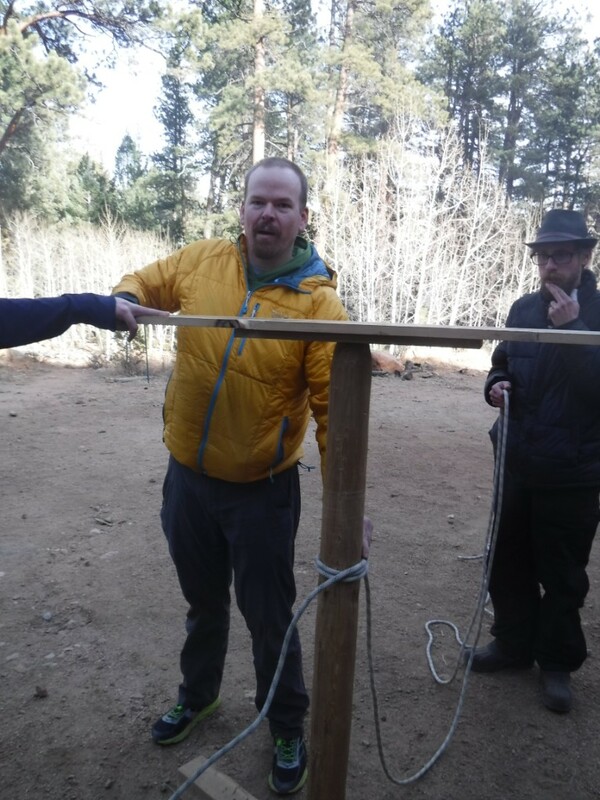 The adventure therapy magicians that I have been lucky enough to witness use these topics to fine tune an activity and zero in on very specific topics that relate to all group members. Nick is the primary therapist at BaMidbar and works with both the family unit and clients in the field. He has worked in a variety of roles in the field including field guide, facilitator, individual therapist, clinical supervisor, program manager, family therapist, and consultant. 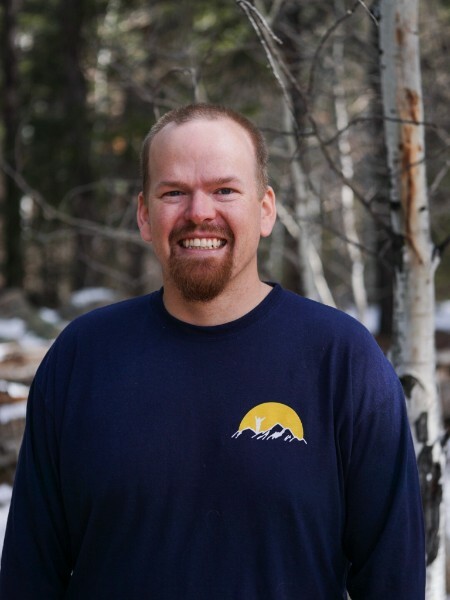 Nick is also on the leadership committee for the Therapeutic Adventure Professional Group, where he regularly helps to organize workshops and conferences for other therapists using adventure therapy. When not in the wilderness helping others, Nick can be found backcountry skiing, climbing, hiking, training for triathlons, and enjoying family time with his wife and two children, Birch and River.